The Cleveland Arms are proud to continue in its support off the Martlets Hospice. 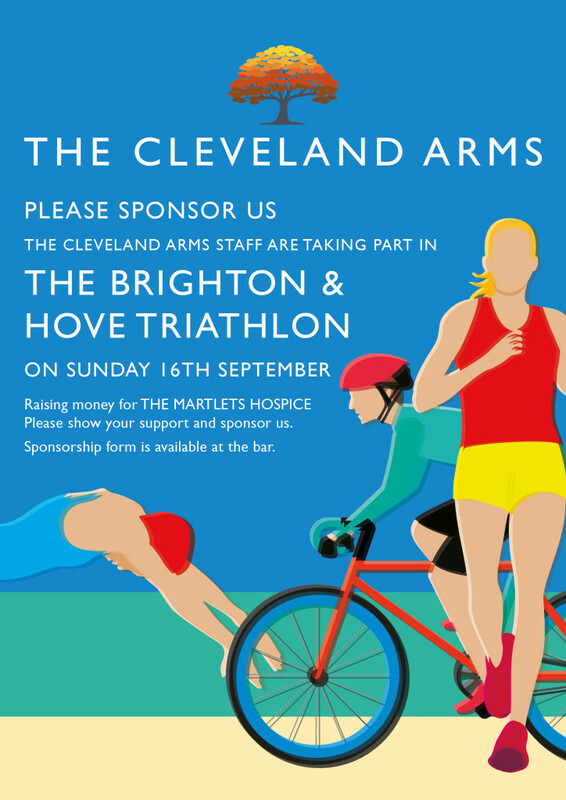 We have again entered the Brighton Triathlon (Jamie, Sarah, Gemma, Sydney, Demi & Red) to support this wonderful charity and hope that you can join us in any future support! !